Mayor Rahm Emanuel is reportedly considering a $500 million property tax hike—one of the largest in the city’s history—to help pay police and fire pensions and construction projects for Chicago Public Schools. The tax increase is expected to be included in the mayor’s 2016 budget, which also includes a garbage collection fee, a tax on e-cigarettes, and a surcharge on ride-sharing services like Uber, according to the Chicago Sun-Times, citing unnamed City Hall sources. The mayor will formally unveil his proposed budget on Sept. 22. On Thursday, he defended his proposal. "We're going to do it in a fair and progressive way," Mayor Emanuel said. "I believe the aldermen are up to the task of charting a new course for Chicago's future." Will City Council go along with the politically perilous moves, or will the mayor get some pushback? Below, some highlights from our discussion about what is reportedly in Emanuel’s budget – and what it means for city residents – with Ald. Joe Moore (49th Ward), Ald. Jason Ervin (28th Ward), Ald. Scott Waguespack (32nd Ward), and Ald. Proco “Joe” Moreno (1st Ward). "The first thing we should focus on is government efficiency – cutting any further waste, fraud, and inefficiency in city government – before we go to the taxpayers," said Ald. Joe Moore (49th Ward). "That being said, we have this huge pension liability facing us. Over the course of years, our pension funds have been severly underfunded, and now we have to pay the piper. We owe the pensioners our debt. That's why we're here talking about the possibility of a pretty significant property tax increase." "There are two issues," said Ald. Jason Ervin (28th Ward). "One is the pension issue, the other is the regular government operations: Are we doing things the best way that we can do them? Are we addressing our public safety needs in a proper way? Unfortunately, both of these things are coming together at the same time, and it creates this perfect storm. As for the tax increase, without looking at the expense side of the ledger, it's very difficult to say, 'This is something that we must do.' What I do know is that we must actuarially fund our pensions. We run the risk if we don't of having our money intercepted from the state. I think the state needs to own up to its responsibility because all of these pensions are creatures of state statute, and they really did not provide a funding mechanism or a requirement that they be funded in a true sense. 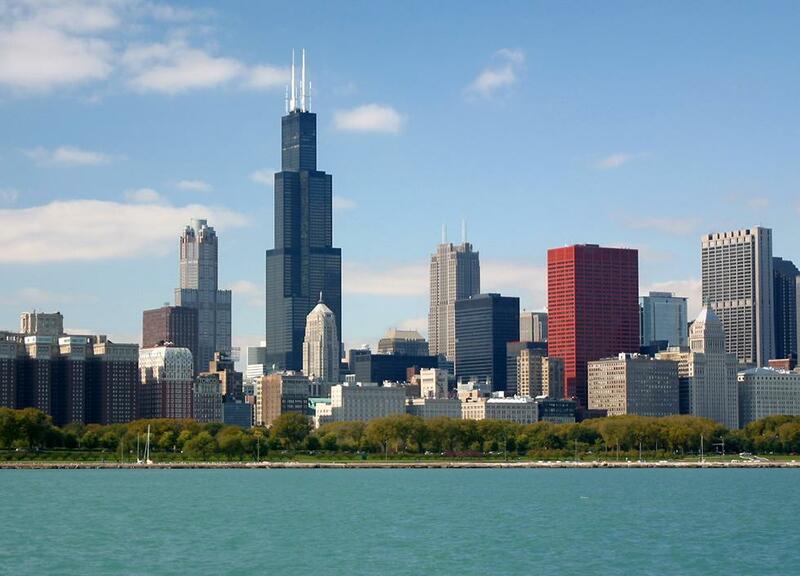 [The state needs] to help the city of Chicago with this situation." "Sticking everybody with a $500 million tax hike without really telling us the details is not fair," argued Ald. Scott Waguespack (32nd Ward). "When we sat through the last election, we were told that [Mayor Emanuel] had a plan for a progressive sales tax, a casino, and TIF reform, and that he would avoid a property tax hike, and that's all been thrown out the door. I believe that there's ways we could have alleviated this property tax hike by going to the state and saying, 'Here's several things that you could help us change by simply changing the state law, to allow Chicago to tax differently on different issues, or raise the revenue that we need to pay for the pensions that the Supreme Court says we have to.'" "If we are going to have this pain of higher property taxes, I want to make sure that middle- and low-income working-class folks in Chicago don't bear the higher burden of that," said Ald. Proco “Joe” Moreno (1st Ward). "Anyone making $100,000 or less [would see a rebate], and it's tiered, so the less you make, the more rebate you get. The details are in my ordinance I put out today. I would love to support some things that we need state codification on – city income tax, casino – but I think it's disingenuous for me as an alderman to say, 'These are the things that need to be done, and Springfield needs to do those,' to my constituents, when they're not going to be done. I'm going to support things that I can vote on, I can introduce, or vote against, and not just keep saying, 'Springfield needs to do those things.' Springfield has not shown that they are passing anything these days. We're going to do things that we can do in the city of Chicago." Note: Discussion highlights have been condensed.